Work injuries are injuries that result from accidents that occur in the workplace during service. 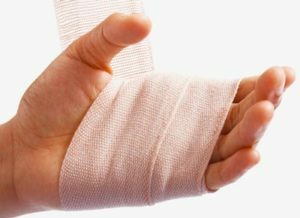 The seriousness of a work injury may vary as it ranges from simple scratches to burns, fractures and more. It is custom that when an employee gets seriously injured in the workplace, he is compensated by the insurance company affiliated to the firm. However, for that to happen, the integrity of the cause of his accident is often verified so as to ensure that the claimant is not wrongly imposing expenses on the firm or their insurers. In establishing a solid work injury claim, several evidential documents must be submitted along with deposition reports that corroborate your story. You will need the service of a competent and experienced attorney to handle all the many legal clauses, the submissions, and documentation involved in presenting a solid case. At Rawa Law Group, our team of professionals will work to investigate the circumstances behind your accident so as to deduce the actual cause of your accident. All associated documents relevant to this purpose will be critically evaluated, this includes (and is not limited to) accident reports, medical records, and others. We provide critical representation that ensures all negligent parties are held responsible. Our Work Injury attorneys in Long Beach are revered for their thorough yet humane approach, we are ready to meet you wherever you are to provide our consultation and counseling services, be it your home or hospital.